In September 1996, Alex Calvo García, a largely unknown Basque footballer arrived in England. Recently released by Eibar in the lower reaches of the Spanish league, the journey represented the 24 year-old's final opportunity to make it as a professional footballer. Without a word of English and at a time when foreign players were rare on British soil - and unheard of in the town of Scunthorpe - the odds seemed stacked against him. What followed was an unlikely eight-year long love affair, in which Calvo García took Scunthorpe United to his heart and embraced the town as its people did him. A Spanish pioneer to the English game, his was a career spent not in the great arenas of football, like Old Trafford and Anfield, but in its less salubrious outposts While he may not have achieved the fame and wealth of some of his compatriots, the happiness Calvo García took from his time at Glanford Park he says made him far richer. 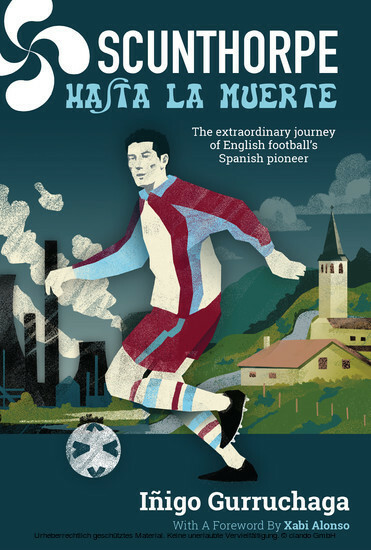 In Scunthorpe Hasta La Muerte (Scunthorpe 'til I die), the acclaimed Basque journalist Iñigo Gurrachaga traces his Calvo García's career from the Basque country to Wembley, where he scored the goal that took Scunthorpe to the old third division in the play-offs, and beyond. Its narrative embraces the history of football, of Scunthorpe, of the religions, social ideas and stories that shape the followers of a club in North Lincolnshire with a funny name. Part biography, part social history, part meditation on what it is to be an outsider ultimately embraced by the introverted world of football, Scunthorpe hasta la muerte is a rare thing: a beautifully written account of the underbelly of English football and a masterpiece of sportswriting. Iñigo Gurruchaga is the London correspondent for the Basque newspaper, El Correo.